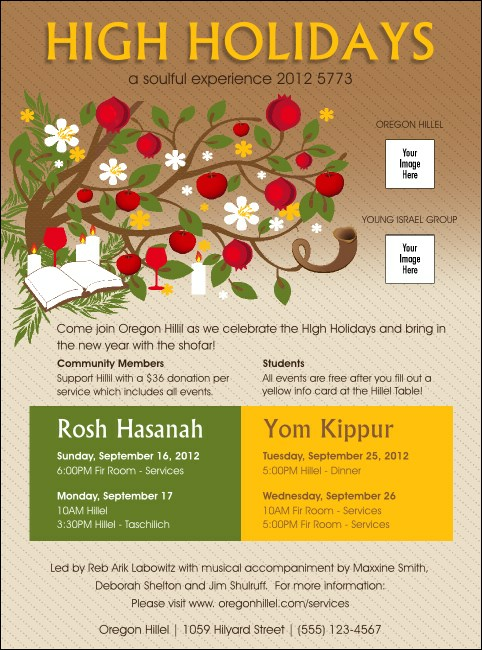 Usher in the days of awe with an inspiring and uplifting High Holidays Flyer. This symbolic design features a mystical tree that sprouts apples, pomegranates, flowers, and even a shofar, shading candles, kiddush cups, and an open book. Upload two custom images and add times and places for every upcoming service.